Damn, it's good to be back. We unveiled two new tunes at the Jazz Gallery on Thursday night -- "Ferromagnetic" (which draws [unironic] inspiration from the aforementioned awesome trailer), and "Redeye," a gentle ode to the effects of sleep deprivation. (Hey, write what you know, right?) This tune was rescued from the ashes of a much earlier attempt at developing this material -- one that did not end at all well. Secret Society North is the Canadian cousin to the acclaimed New York big band Secret Society. 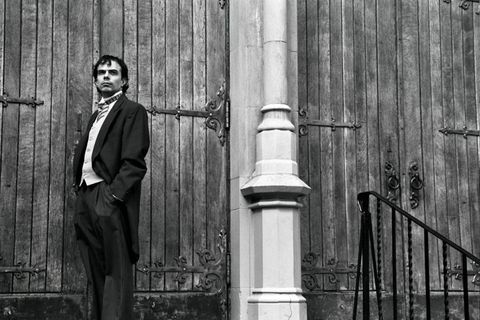 Vancouver-born, New York-based composer-bandleader Darcy James Argue wanted to give Canadian audiences the opportunity to hear his cutting-edge large ensemble music live. He realized that putting together an edition of Secret Society that augments the core of the NYC band with Canadian musicians would not only allow him to present his music north of the 49th, it would also give him the opportunity to reconnect with musicians he had collaborated with during his years on the Montreal jazz scene in the 1990’s. He calls this band "Secret Society North." Secret Society North have been invited to perform at the 2008 IAJE (International Association for Jazz Education) conference in Toronto. This is by far the largest jazz event in the world, regularly attracting over 7,000 attendees. It is also a terrific opportunity to perform fresh and forward-looking music for jazz students and educators, who too often let their focus on jazz's past obscure their view of what is happening right now. We humbly ask for your support to help us defray the travel expenses and other costs associated with bringing our innovative and genre-defying music to audiences in Toronto and Montreal that have never heard anything quite like it before. MANDATORY DISCLAIMER GOES HERE: Darcy James Argue's Secret Society North Winter '08 Tour is a sponsored project of Fractured Atlas, a non-profit arts service organization. Contributions in behalf of Darcy James Argue's Secret Society North Winter '08 Tour may be made payable to Fractured Atlas and are tax-deductible to the extent permitted by law. Awesome photo. It's good to finally hear some new songs. Awesome "Iron Man" trailer, too. The "Batman Begins"-style primitive look of the first suit and the jets of fire shooting from it, are great.